Located on Florida’s southeastern coast, Fort Lauderdale is a popular tourist destination, retirement community, and major city in the south Florida metropolitan area. It is just north of Miami and is known for attracting wealthy tourists with cruise ships, nautical recreation, and an active convention center. Fort Lauderdale is seeing extensive market growth and has been recognized as a top city for real estate investment due to a large retirement population and service providers. The city is also known for its luxury condo market, which has been booming and resulting in rapid sell outs of high end properties. Another factor driving growth in Fort Lauderdale real estate: the city is expected to grow as an emerging tech hub further putting pressure on the local real estate market. With this competitive real estate market, you’ll need an expeienced, qualified real estate professional by your side whether you’re buying, selling, or investing in Fort Lauderdale real estate. We’ve found the 15 best real estate professionals Fort Lauderdale has to offer: brokers and Realtors® who have years of successful experience in the area and a long track record of satisfied clients. Our list of the best Realtors® in Fort Lauderdale is not ranked, but we do want to know which one you think is the best. That’s why we encourage you to vote in our poll at the end of this article: let us know which of Fort Lauderdale’s real estate professionals are the very best in the business. And be sure to vote today, as the poll will close in 30 days! 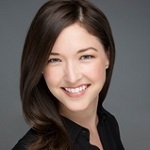 Jacquelyn Scott is broker-associate of Jacquelyn Scott and Associates. She has lived in Fort Lauderdale for more than 55 years, and has more than 35 years of sales experience. A leader in Fort Lauderdale real estate, Scott is known for her knowledge, outstanding service, professionalism, and ability to deliver excellent results. She has a number of awards and designations as a real estate professional including the RE/Max International Lifetime Achievement Award, Chairman’s Club, RE/Max International Hall of Fame, and the RE/MAX International Platinum Club. Scott is highly involved in the real estate community and beyond as an active member of the Southeast Florida Board of Realtors® and member of the National Association of Realtors®. She is also dedicated to civic involvement in her neighborhood as well as the city of Fort Lauderdale. Since 2008, Christine Adler has been owner and broker of Adler Realty. She was previously an award winning Realtor® with RE/MAX with recognition in the President’s Club, and the RE/MAX Hall of Fame, among other awards. 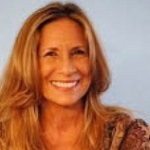 With Adler Realty, she has a team of 15 specializing in waterfront and luxury homes in Broward and Palm Beach counties. Adler has a number of designations in real estate, including Certified Residential Specialist, Certified Luxury Home Marketing Specialist, ePro Certification, and membership in the Million Dollar Guild. Clients appreciate being able to rely on her expertise, sell their homes quickly, and find their dream homes with her in south Florida. 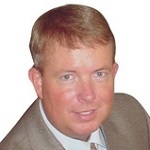 An exclusive buyers’ agent with more than 18 years of experience, Randy Bultema specializes in representing buyers. He works diligently to push for the best price and the best terms for home buyers, protecting their interests and offering an advantage. Bultema also offers services as a renters’ agent, managing properties for real estate investors. Clients say he is patient, insightful, accommodating, and easy to work with. They appreciate his responsiveness and ability to negotiate for their interests. 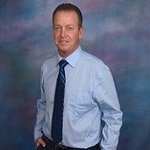 John Munroe is broker and president of Munroe Coastal Properties. 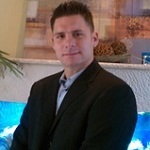 He specializes in beach and intra-coastal properties. Munroe puts his customers first, and with this quality, is able to guarantee a positive and successful experience for every client. His strengths include negotiating, market analysis, communication skills, and property staging. Munroe’s clients say he is there for them every step of the way, providing helpful education, responsiveness, and information specific to their needs. They note his excellent integrity and point to his knowledge as evidence of his excellence. A Realtor® and brokerage analyst with Florida Luxurious Properties, Axani specializes in properties valued at $1 million and higher. 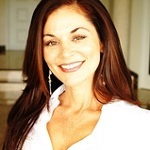 She has specialized in luxury real estate since 2011, and particularly focuses on east Fort Lauderdale. Axani is also a budding philanthropist who is active in the Fort Lauderdale community. She founded the Happy Hour Supporting Broward Children’s Center, an organization that hosts quarterly events to benefit the Broward Children’s Center. Her clients say she is friendly, thorough, and always willing to go the extra mile. She is always spot on with her recommendations and property highlights, and is especially helpful supporting real estate investors as they make property decisions. Thomas J. Malan has been a financial professional since 2003, helping his clients with not just real estate and property management, but investments and insurance as well. He works full time in real estate and is always available to his clients. Malan holds designations including Graduate Real Estate Institute and MBA, making him an experienced, knowledgeable professional in real estate. His clients say he is compassionate, understanding, and shows true concern for them as they work together. They appreciate his attention to detail, willingness to follow up — even on minor details — and a professionalism that makes them feel secure throughout the entire transaction. 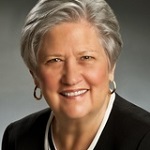 Linda Crovella Waldron is owner and broker of 7 East Realty. She has more than 21 years of experience in real estate, and as a lifelong Floridian, Waldron has extensive knowledge not just in real estate professionalism, but the neighborhoods, resources, and market in Fort Lauderdale and the surrounding areas. She is an expert in efficiently and effectively targeting areas for buyers’ lifestyle goals and needs. And with expertise in financing, she is also able to find excellent financing solutions for her clients. Waldron has extensive knowledge of real estate and the local area, making her an ideal real estate professional for buyers, sellers, and investors in Fort Lauderdale. Her clients say she is knowledgeable, responsive, and professional, even when working with long distance clients. A south Florida native with more than 17 years of experience in the south Florida luxury real estate market, Susan Rindley is an expert in the best properties Florida has to offer. She specializes in luxury properties in Fort Lauderdale, Miami, Boca Raton, Delray, and Palm Beach, and in 2013, she sold more than $41 million in south Florida property. Noted for her dedication, hard work, and integrity, Rindley brings enthusiasm and energy to every client. Rindley’s clients say she works tirelessly for them and delivers only the highest character and integrity. They note her excellent knowledge of the market and ability to deliver on high expectations. A broker and associate with Adache Real Estate, Heather Lefebvre has more than 16 years of experience in real estate. She has an excellent knowledge of south Florida’s real estate market, and specializes in waterfront and vacation homes, condos, and new construction. 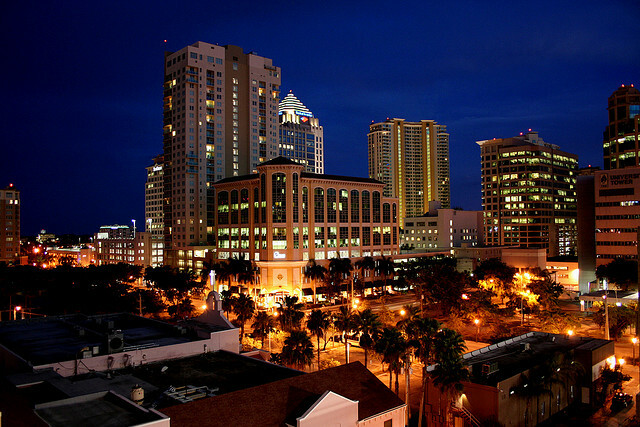 Lefebvre also has experience in foreclosed real estate owned properties and corporate relocations. Additionally, she has a background as a top producing loan officer and processor, giving her a unique insight and ability to help her clients with their financing needs. Lefebvre’s designations include Certified Residential Specialist, Luxury Home Market Specialist, International Property Specialist Member, and Certified Luxury Home Marketing Specialist. Her clients say that working with her is a pleasure, as she is always willing to help them find the perfect property. They find her local knowledge and network to be invaluable as well. 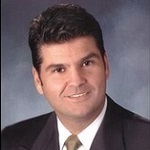 John D’Angelo is owner and broker of the D’Angelo Realty Group. He has more than 25 years of experience in high end real estate, and he has extensive knowledge in the downtown Fort Lauderdale luxury condo market. D’Angelo has worked with major developers to sell out high end new construction projects in Fort Lauderdale, and has reached more than $1 billion in real estate sales. He works diligently to ensure that his clients get the highest market value as sellers and the most equitable price as buyers. D’Angelo’s clients say he and his team are always willing to go the extra mile to help and take care of every minute detail to support a smooth real estate transaction. Broker and owner of Sunrise Intercoastal Realty, Iliana Ivanova has more than 20 years of experience in the south Florida market. She is committed to exceeding her clients’ expectations as she delivers on the highest level of personal service. She has extensive experience in the real estate field as well as an extensive understanding of the mortgage lending process. Ivanova is dedicated to delivering a successful outcome for every transaction with excellent, knowledgeable advice for every client. Her clients say she is the ultimate professional and is enjoyable to work with. They note her prompt availability, negotiation skills, and excellent network as particular strengths. 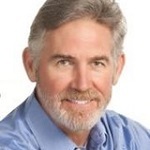 David Sullivan is a real estate professional with more than 34 years of experience. He is committed to client satisfaction with a high level of local market knowledge and experience. His attention to detail and dedication make him a favorite among clients, who have selected him as a Five Star Real Estate Agent for multiple years in a row. Sullivan places a high level of importance on ongoing communications, market updates, and staying on top of the sales process. Sullivan’s clients say he goes above and beyond in his dedication to them with always on availability and professional, courteous, service. 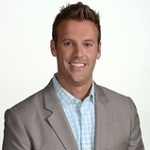 Cofounder of Luxury Living Fort Lauderdale, Chad Gray has 14 years of experience in real estate. He is a top producing broker associate, and has a passion for providing exceptional service as he sells beautiful homes in the Fort Lauderdale area. In addition to extensive experience as a real estate professional, Gray has several years of experience in real estate finance as a top producing mortgage loan officer. 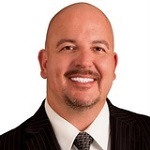 He delivers top notch service to each of his clients, working with a team of experienced, service oriented real estate professionals specializing in excellent service. Gray’s clients say they know they’re always in good hands with him. They say he is patient, professional, and always available with detailed, helpful information. A Fort Lauderdale native with 14 years of experience in real estate, few others are as knowledgeable and experienced in Fort Lauderdale real estate as Jason Young. With his hometown knowledge and long track record of excellence, Young is among the leading real estate professionals in Fort Lauderdale. He delivers an excellent experience to every client with advocacy, market knowledge, clear communication, and attention to detail. His clients receive excellent service and attention, and he is always available to help with real estate decisions and details. His passion for real estate is clear, and his clients appreciate the dedication he shows to his work. They say he is knowledgeable, goal driven, and able to achieve excellent results even in difficult situations. Sarah Regensdorf is a native of East Fort Lauderdale, and for more than 14 years, she has bought and sold Fort Lauderdale real estate. She specializes as a buyer’s agent, listing agent, and in relocations as part of Town Real Estate, a boutique brokerage. In addition to real estate, Regensdorf is very active in the community. She is the co-chair of the Ghost Slight Society at the Broward Center for the Performing Arts, and is an active member of the Pine Crest Alumni Council. Regensdorf’s clients say she is extremely knowledgeable, always available, and carefully considers their needs as she delivers on excellent real estate service.